The proliferation of crypto-currencies poses a serious threat to the Central Bank of Sri Lanka (CBSL), warned former CBSL Deputy Governor W. A. Wijewardena, further highlighting the necessity for CBSL to implement its own crypto-currency. He was delivering the oration at CBSL’s 68th anniversary, held under the theme ‘A revisit to Central Bank independence: How to resolve emerging issues’, on Tuesday this week. He said many countries were taking the initiative to introduce their own crypto-currencies. Moreover, he noted that The Bank of England was considering the introduction of its own crypto-currency. He said the proliferation of crypto-currencies – competing with Central Bank-produced money – required Central Banks to make an active effort to remain relevant in their respective economies. Wijewardena noted that The Reserve Bank of India had also established a special crypto-currency research unit in India to consider issuing its own crypto-currency and to regulate all other crypto-currencies being issued. He went on to say that the Government of Iran was also preparing to issue its own crypto-currency. Iran’s State-controlled media reported that the intended purpose of the new Iranian govcoin is to help the country skirt international financial sanctions imposed to cut its access to the global economy. The Central Bank of Sri Lanka (CBSL) earlier this year notified the public that it had not given licence or authorization to any entity or company to operate schemes involving virtual currencies, including crypto-currencies, and has not authorized any Initial Coin Offerings (ICOs). 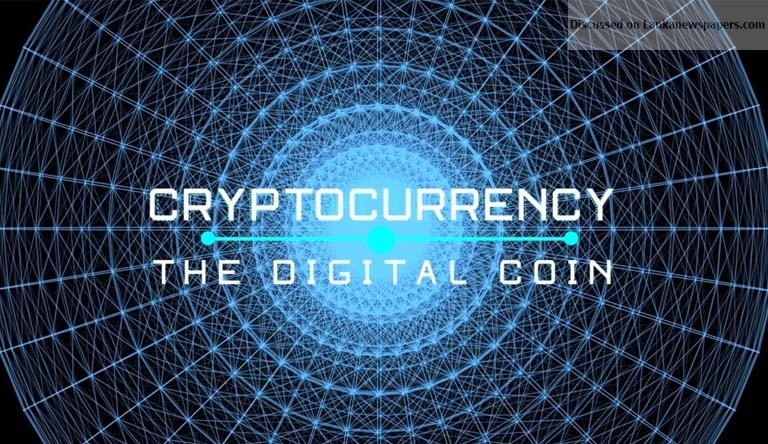 According to the CBSL, the term ‘virtual currencies’ is commonly used to refer to digitally-created representations of value that are issued by private developers and denominated in their own unit of account. Common examples of virtual currencies are crypto-currencies such as Bitcoin, Litecoin and Ethereum. CBSL said that these virtual currencies are not Central Bank-issued currency. “Virtual currencies such as crypto-currencies use decentralized peer-to-peer digital networks to authorize transactions. Due to the absence of a centralized authority such as a Central Bank to guarantee the value of the currency and regulate transactions, there is no recourse in the event of any user or transaction-related issues or disputes. The value of virtual currencies is dependent on speculation and is not backed by an underlying asset or a regulatory framework. Due to this, virtual currencies may demonstrate major volatility. Similarly, there appears to be a high probability of virtual currencies being used in illegal activities,” stated CBSL in its notice to the public.